Summer is a bad time to be a gamer, with a distinct lack of big new releases. Fortunately, there is light at the end of the long, long (but quite pleasant and sunny) tunnel as the rest of 2014 is filled with amazing games across all platforms. Love controlling the lives of little people? Then we’ve got great news: The Sims 4 promises to be the best installment yet. It has improved emotions and an improved build feature, as well as all the core features fans of the series have come to know and love. Well, almost all of them. EA, the makers of The Sims, have caused a bit of a fuss by removing pools and toddlers from the game. We’re not entirely sure why this is an issue, but feel free to let us know in the comments. Interestingly, Bungie have suggested that some events in the game will be completely out of their control, making Destiny the world’s first self-aware game (and possibly Skynet – you have been warned). The latest entry into the Forza Motorsport series lets players loose in Southern Europe, allowing them to explore (and race in) France and Italy in a range of ludicrously powerful cars. If you’ve always fancied tearing around Tuscany in a Lamborghini, this game will be a must-have. Good games based off the Alien franchise are few and far between (Alien Trilogy being one of the exceptions), but Isolation looks fantastic. Taking inspiration from the 1st movie, Isolation puts you in the abandoned ship Nostromo with only a blood-thirsty alien and a rubbish radar for company. Expect a sharp increase in underpants sales when Isolation is released in October. Hardline is a bit of left turn for the Battlefield series, putting players in the respective shoes of a SWAT team and criminals instead of the world’s armies. It’s basically an ultra-violent version of Cops and Robbers. The new focus on the ‘War on Crime’ means plenty of new game modes too, including Heist – where players have to either commit or stop a robbery – and Hotwire Mode, where cops have to chase criminals across massive landscapes. If you’re bored of Call of Duty, this could be a much-needed breath of fresh air. The Evil Within is a good old fashioned survival horror game, taking its inspiration from the likes of Silent Hill and Resident Evil. And inspiration isn’t all it shares with Resident Evil; the game is directed by Shinji Mikami, who was responsible for the 1st Resident Evil. Needless to say, it looks excellent. Far Cry 4 doesn’t look too different to Far Cry 3 gameplay-wise, which is great news as 3 was one of the best games of recent times. The main difference is the plot, which sees a poor chap named Ajay caught up in a civil war and fighting for survival using anything he can get his hands on. There’s also a cool feature where players can invite friends who don’t own the game to join them in co-op and try it out for themselves. Nintendo characters beat each other up for no reason at all. Do we need to say anything else? The final entry into the Arkham series promises to be the best yet, with Batman taking to the streets of Gotham to kick seven bells out of pretty much every villain you can think of. Not that we’ll actually get to the end of the game. Arkham Knight will finally let us drive the Batmobile and we don’t plan on ever leaving the wheel. If you do though, you’ll experience the same award-winning gameplay that made the previous Arkham games so fun to play. After reassuring us that this year’s Ground Zeroes was just a starter, Konami are almost ready to serve the main course The Phantom Pain. 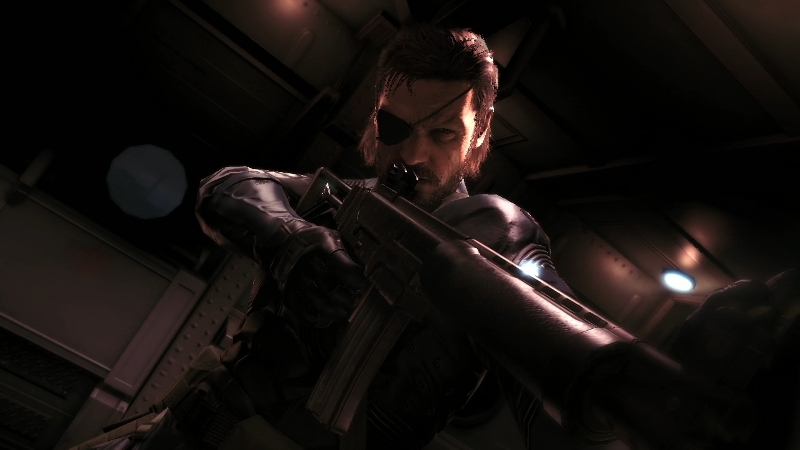 All of the gameplay elements present in Ground Zeroes will feature in the The Phantom Pain, as will the twist-riddled cinematic plots we’ve come to expect from the series. Sadly, David Hayter, who voiced Snake from MGS 1-4, won’t be along for the ride as he’s been replaced by Hollywood star Kiefer ‘Jack Bauer’ Sutherland. What games are you looking forward to? Let us know on Facebook or Twitter! ← Orders delayed automatic entry to win 50 inch Sony 3D TV and an Xbox ONE games console Terms and Conditions.